Eric Edward Esper - The Conflagration of the Absolutely Fireproof Iroquois Theater. The Conflagration of the Absolutely Fireproof Iroquois Theater. 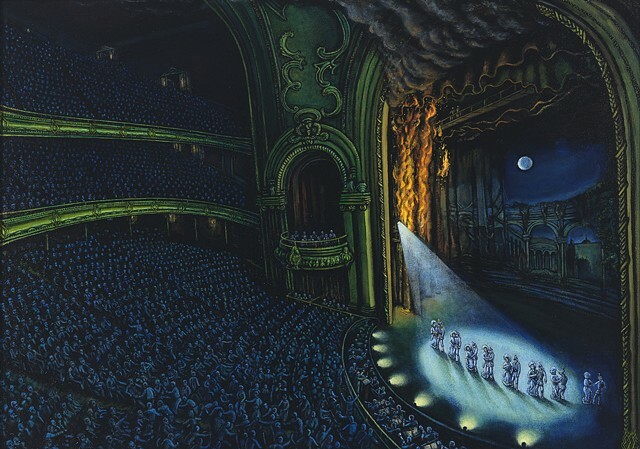 December 30, 1903, Matinee show of " Mr. Bluebeard", second act "Let Us Swear by the Pale Moonlight", at approximately 3:15 p.m the spot light on the left side of the stage sparked and caught the curtains on fire. The overcrowded theater, estimated at 2000 people, soon panicked and stampeded and a fire ball swept through the audience. All fire safety exits, apparatuses and procedures where nonfunctional. 603 deaths occurred as a result.